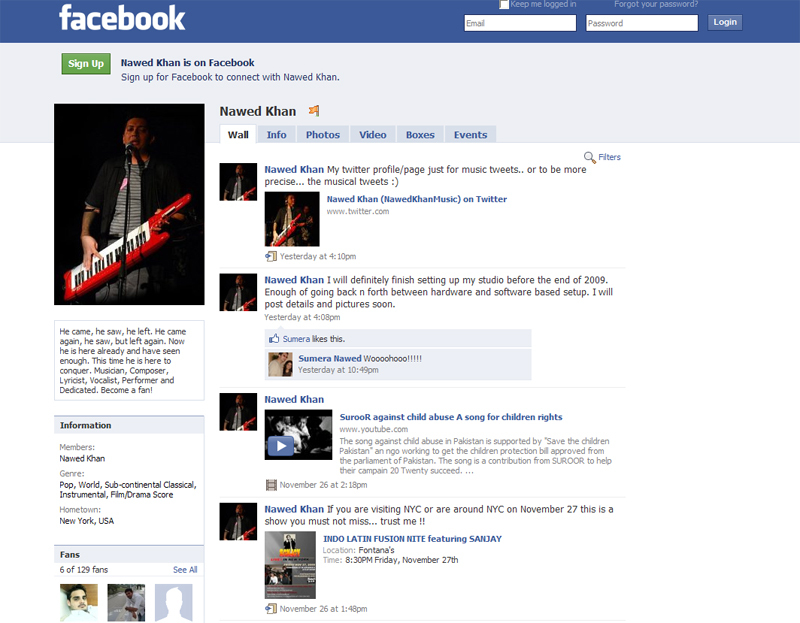 My Facebook page to share news, updates and music with my friends/fans. Facebook has proven to be a great place to share my updates with friends/fans. Join my Page on Facebook so you can get insights, updates and news about my music adventures.